Even after one year at RIT, Patricia Taboada-Serrano has yet to unpack the boxes in her office. But it only puts her a step ahead for her department’s move to Institute Hall, the new home for chemical and biomedical engineering. Between the move to a new building, the remarkable growth in student enrollment in the two engineering programs and the arrival of new faculty like Taboada-Serrano, it’s no wonder the enthusiasm in the new quad is like thousands of positively charged ions. 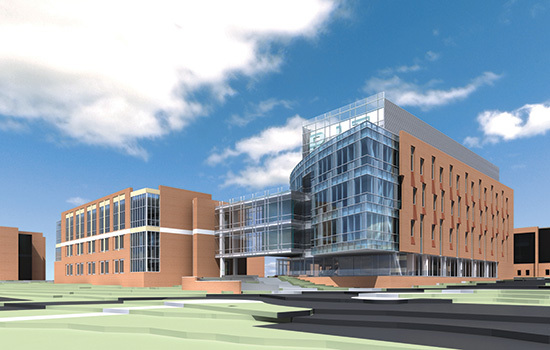 Institute Hall, the 86,000-square-foot building expected to open in December, has multiple classrooms and state-of-the-art research facilities. It connects to the Center for Bioscience Education and Technology and is across from the IT Collaboratory and Kate Gleason College of Engineering. The chemical engineering program was approved by the New York State Department of Education in 2009; this May, the first graduates will receive diplomas. The first year, the department had three faculty members. Today, the combined faculty of both chemical and biomedical engineering programs has grown to nine full-time members—and nearly half are women. Taboada-Serrano is originally from Bolivia, a country in transition, building both its economy and educational system—and relying on its people to contribute to its progress. Not only was Taboada-Serrano one of a few women in her engineering classes, she was among only a handful of women in her country aspiring to graduate degrees. Through Fulbright and Department of Defense fellowships, she obtained a doctorate in environmental engineering at Georgia Institute of Technology. She worked at Oak Ridge National Laboratory as a postdoctoral researcher, then returned to Bolivia as part of her two-year service for the fellowship. She coordinated UNICEF projects and was a liaison between the Bolivian Academy of Sciences and the Interamerican Network of Academies of Sciences on its energy initiatives for underserved populations. In rural areas of developing countries, women and children spend inordinate amounts of time gathering wood and water for home use, Taboada-Serrano explains. Providing alternative energy sources that meet their needs and are easy to use could give them the opportunity to attend school and engage in other productive activities. “When you are an engineer, sometimes it’s not about designing the next-generation power grid, but meeting the needs of the population in the most effective way possible,” she says. Taboada-Serrano remains an active member of Inter­american Network. 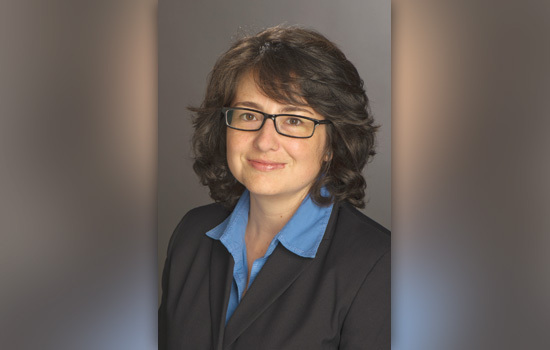 She no longer represents Bolivia but is a member of the organization’s Women for Science Working Group and has been appointed to the Committee for Women in Science, Engineering and Medicine of the U.S. National Academies and National Research Council. Taboada-Serrano aligns her research interests with her social consciousness. Her work in clean-energy development, gas-hydrate formation and deionization for water treatment are technologies important to both developed and developing countries. But engineers are finding ways to strengthen global communities, she says, and female engineers have a large role to play in this task.